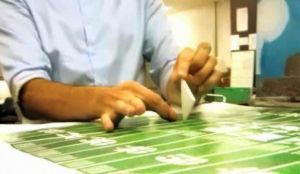 This weekend, score a touchdown in the paper football playoffs! We'll talk about the history of football and the Super Bowl too. Join the JMLC Education Team every Saturday and Sunday for activities, experiments and crafts that make learning FUN! Geared toward families with members ages 5 to 105.